Security is a key issue when you're planning an event or gathering outdoors. There's certainly nothing worse than getting your gear together and setting up your shelter, only to have it moving around or even tipping over due to wind. Caravan owners can take steps to make sure that doesn't happen, though, by applying this Caravan Commercial Stake Kit - Set of 4. A stake kit is a simple measure, but an important one. 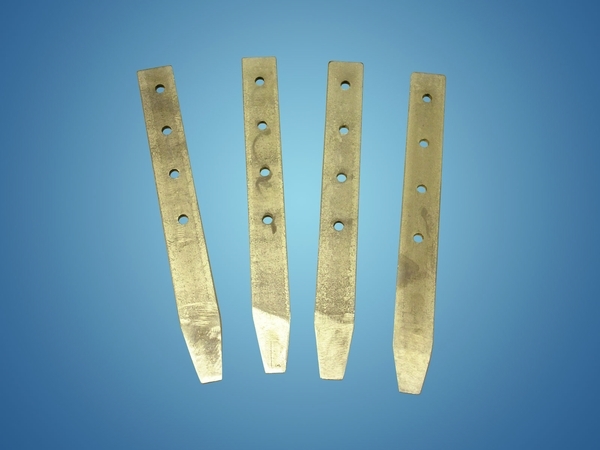 This set of four stakes is made of strong, durable, heavy-duty metal. Each stake attaches directly to one of the canopy legs with a tension release clamp, allowing you to effectively anchor each leg directly into the ground. These stakes can be used on sand or softer dirt and, once in place, they provide that solid structural anchor that will keep your shelter secured in place. The stakes all feature multiple holes that allow you to choose the depth you'd like to set the anchors at to maximize function and efficiency. You can certainly set up a shelter, in many cases, without stakes and without experiencing any negative consequences. When you need that extra bit of stability, though, nothing less than quality stakes will do. Whether you use them every time you set up your tent or just when you need them, though, there's no substitute for the peace of mind and structural stability you'll achieve by using a Caravan Commercial Stake Kit - Set of 4. WARNING: This product can expose you to chemicals including Diethylhexyl Phthalate, which is known to the State of California to cause cancer, birth defects, or other reproductive harm. For more information go to www.P65Warnings.ca.gov.